Complementary Composition grew out of the 2017 Michael Miller/Modern Quilt Guild Challenge. 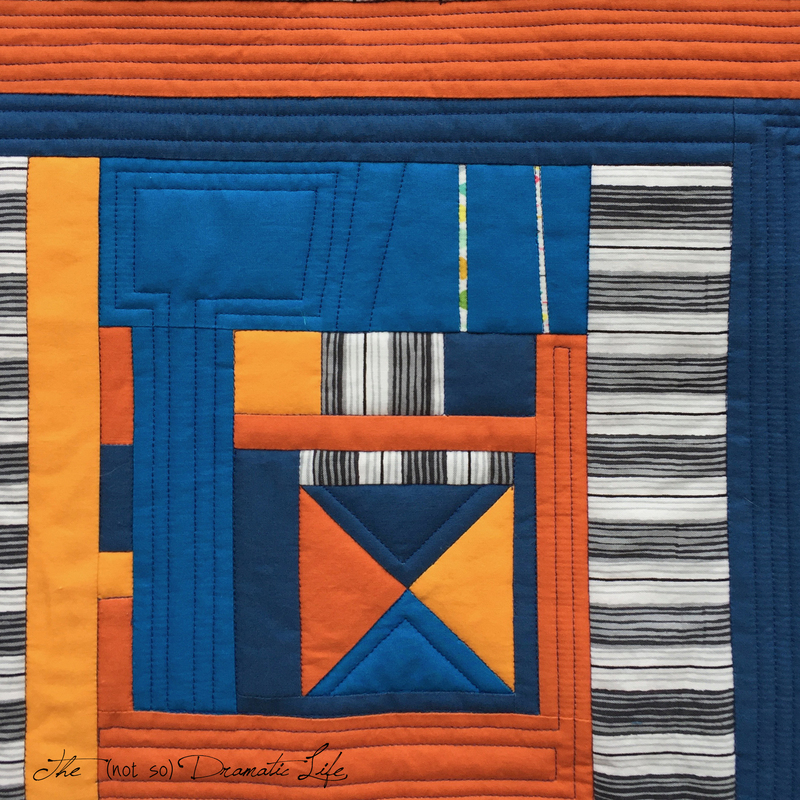 This is the third year I have participated in the challenge, and this is the first time that my challenge quilt has been selected for participation at QuiltCon. 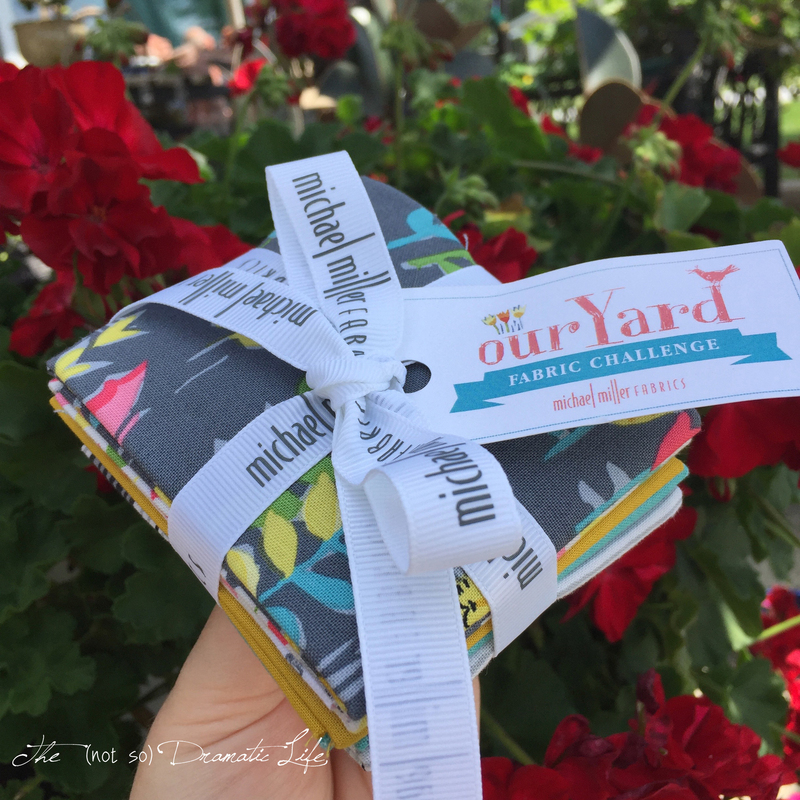 The fabric for the challenge is Our Yard, and it is super cute! This actually proved to be a greater challenge to me, because I rarely make quilts that I can describe as cute or even pretty. 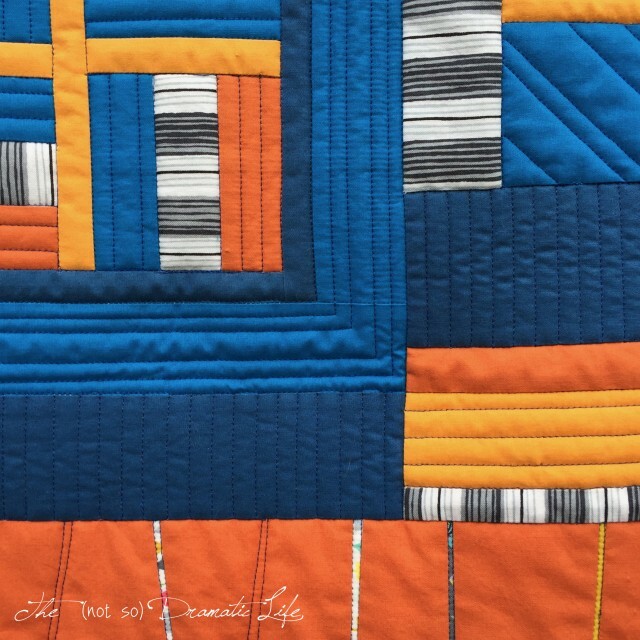 I love looking at quilts that are cute, pretty, darling, charming, etc., but I don’t tend to create work that I would use these terms to describe. Now the question became- How do I incorporate these charming prints into my personal aesthetic? When I am uncertain how to proceed with a design, I tend to turn to the elements and principles of design. While the elements and principles of design never exist purely on their own, I find that sometimes narrowing my focus in the initial stages of a design helps to refine my overall vision for the project. In this case, I initially focused on the element of color and the principle of scale. There are so many bright colors in the challenge prints that it allows for interpretation in selecting a dominant color palette. Blue and Orange has always been my favorite complementary color scheme (two colors opposite each other on the color wheel), and I thought that the vibrant combination would honor the energy evoked in the fabric prints. To add visual dimension, I selected a lighter and darker version of solid color. I was fortunate enough to make my initial fabric purchase for the quilt while in Paducah, KY at Hancock’s of Paducah. They carry most of the Michael Miller solids, so I was able to make my color choices with the fabrics right in front of me. When purchasing solids for a project, I try to photograph the ends of the bolts just in case I need to order more, which did happen during this project. The official challenge only required that two of the prints in the line be incorporated into the finished quilt, but as a personal challenge, I wanted to use each one included in the bundle that was sent out. 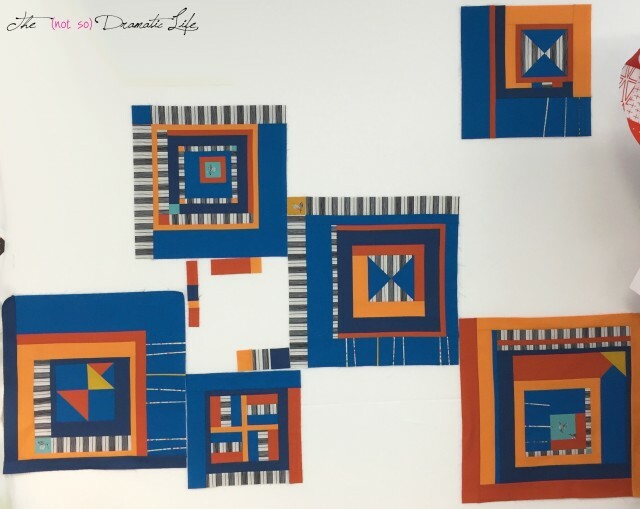 In order to make this work with my aesthetic and the color scheme of the quilt, scale was going to be an extremely important aspect of the design. The most graphic print in the bundle is the black, grey, and white print which is the most closely aligned to my aesthetic. This would be the dominant print. The black and white leaf print on the mustard and aqua backgrounds is closely associated with the striped print, and I liked that the spacing of the print give the eye a place to rest in the background and allows it to work with the solid fabrics surrounding it. I knew that this print was a prime candidate for fussy cutting to highlight the leaf image. The busiest prints were going to be the most challenging to work in, so they were going to be used in the smallest pieces. 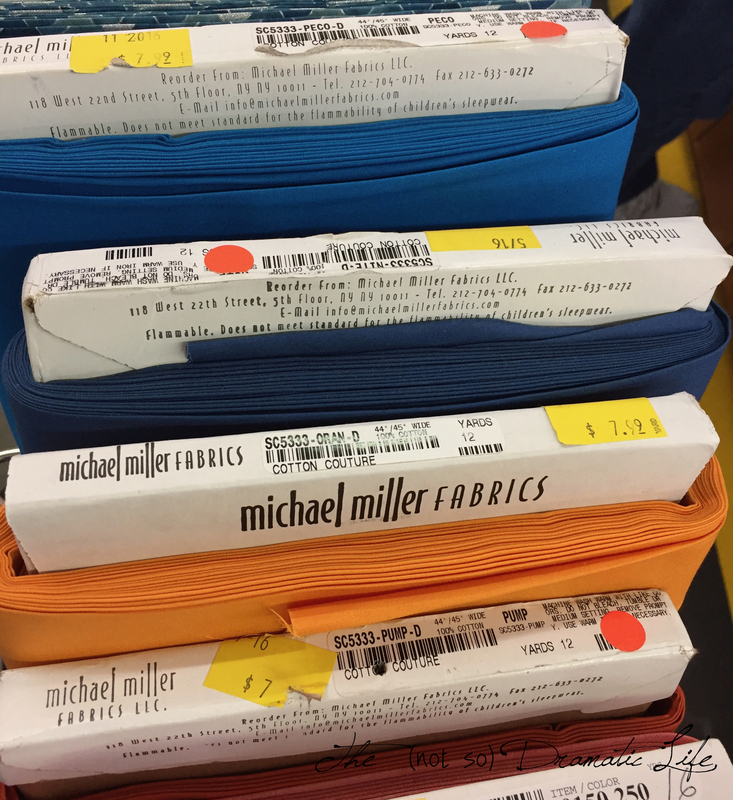 The 1/8″ slivers of these fabrics create energetic lines and break up large expanses of the solid fabrics. 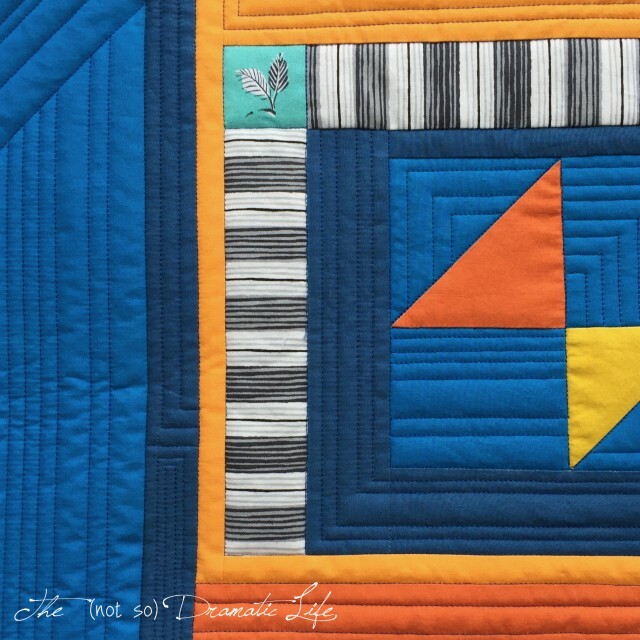 This quilt is constructed using a structured improv technique. The pieces are measured and trimmed as they are sewn, but there is no predetermined design for the piece. I started the process by constructing blocks loosely based on Log Cabin/Courthouse Steps style blocks. Many of the blocks are built around a fussy cut square or a simply pieced block. As the blocks were completed, I added them to the design wall. Once I decided the blocks were balancing within the design, I filled in the open areas with strips of fabric. 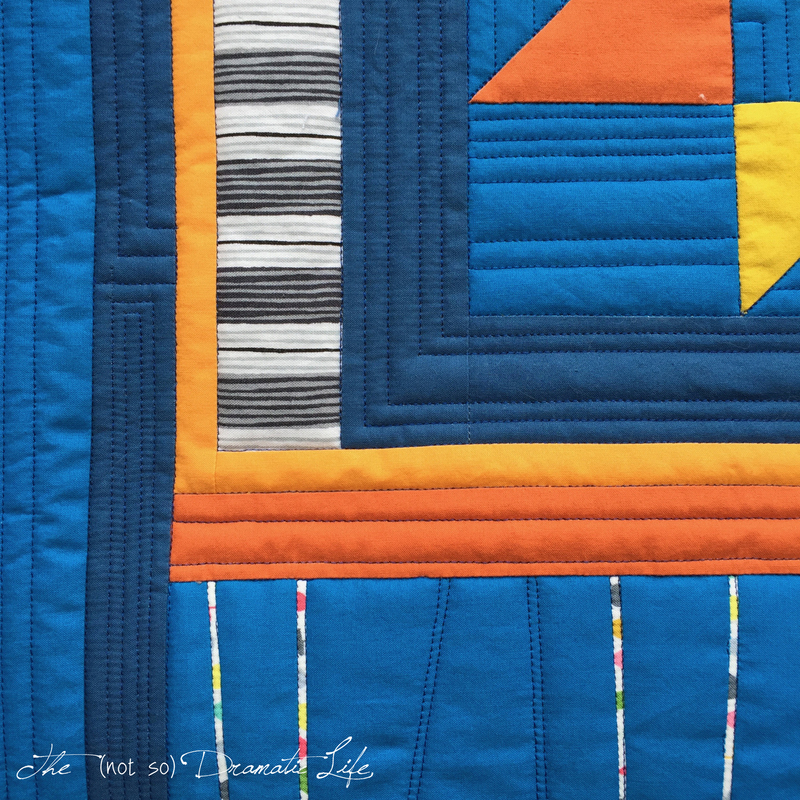 For the quilting of the piece, I wanted to emphasize the linear qualities of the piecing by using a mix of vertical, horizontal, and diagonal straight line quilting as well as echo quilting. 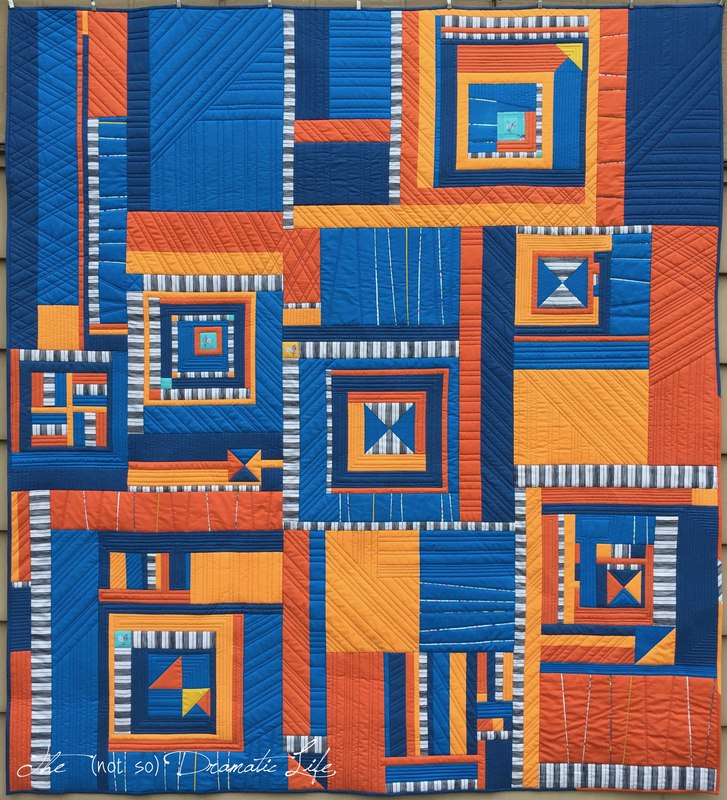 The echo quilting highlights a visually contained shape while the vertical lines give a sense of strength that is balanced by the calming force of the horizontal lines. Mixing in strong diagonal lines gives a greater energy and a sense of the unexpected to the overall design. The binding is a mix of solids with just a small section of striped fabric to draw the eye back toward the center of the quilt. 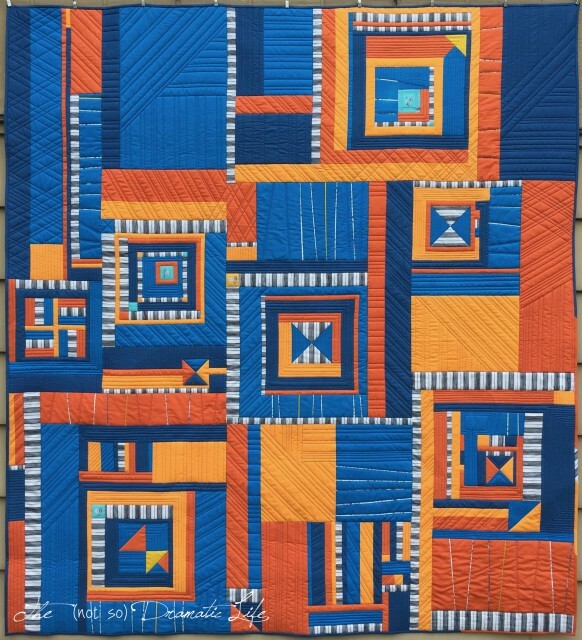 I like this, especially the blue and orange, and your quilting. And I like how you have quilt stats for finished quilts (I do it too). This is a really striking composition, Cassandra, and I look forward to seeing it in Pasadena! Thank you for such a great description of the design process and evolution of creating the quilt. Congratulations on having this quilt accepted into QuiltCon. I appreciate the background on your design as it helps me to understand the creative process. 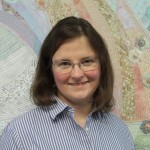 I also find the discussion helps me to think about ways to improve my own quilts. Thank you.